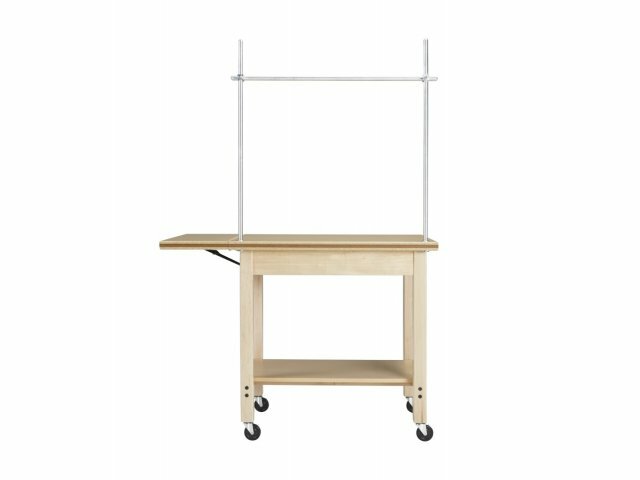 With all of the energetic creation happening in your bustling makerspace, a sturdy makerspace cart is a must-have. Constructed from solid maple and maple veneers, this one is a real winner. 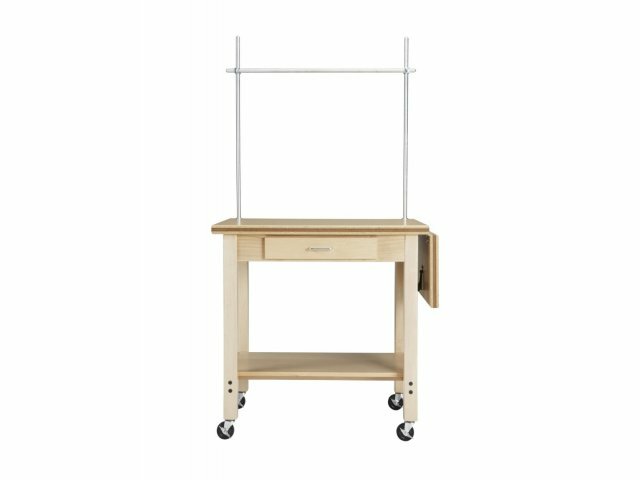 It easily rolls into position on locking casters, so materials are close at hand no matter where your students are working. 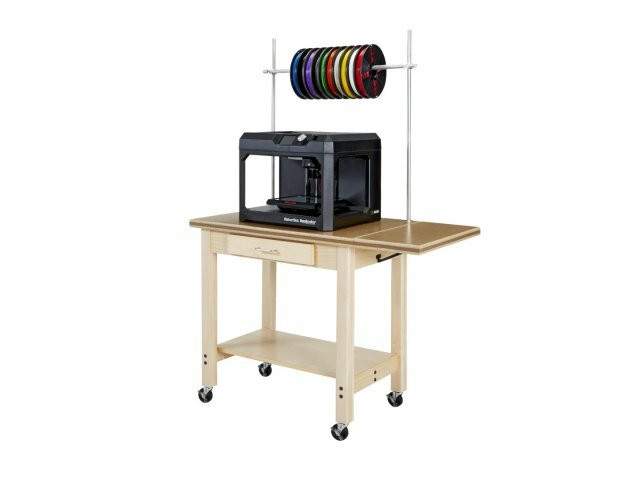 This maker cart is designed to hold a variety of tools and supplies, to support your young creators through every stage of the project. A fully dovetailed drawer is the perfect place for smaller materials, while a built-in shelf at the bottom accommodates a bin or box of supplies. 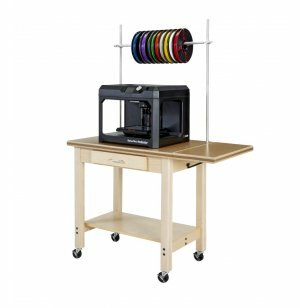 A removable aluminum hanging rod keeps a roll of paper, tapes or other materials at a convenient height. Sturdy Material: Built with solid maples and maple veneers. Smooth Rolling: Glides into position on 4” locking casters. 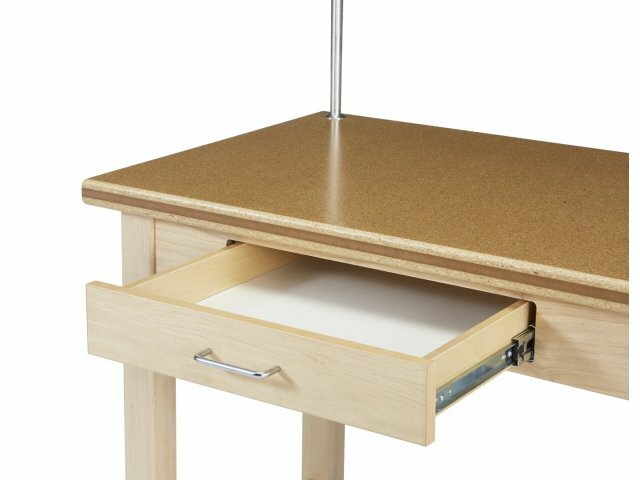 Convenient Storage: Fully dovetailed drawer holds smaller supplies right below the work surface. 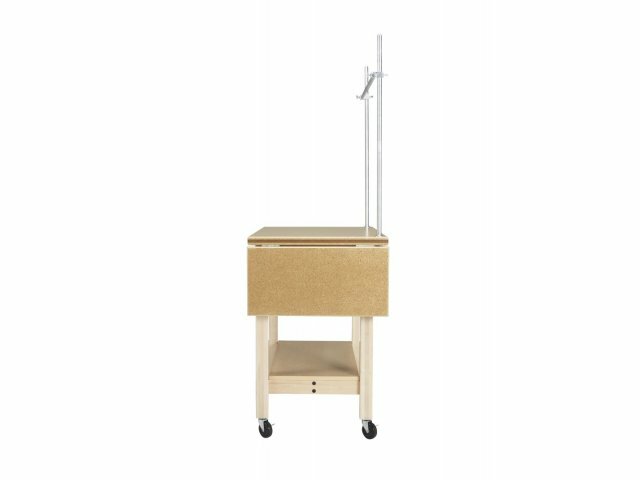 Smart Design: A flip-up shelf provides an additional workspace, with a shelf on the bottom for extra storage. 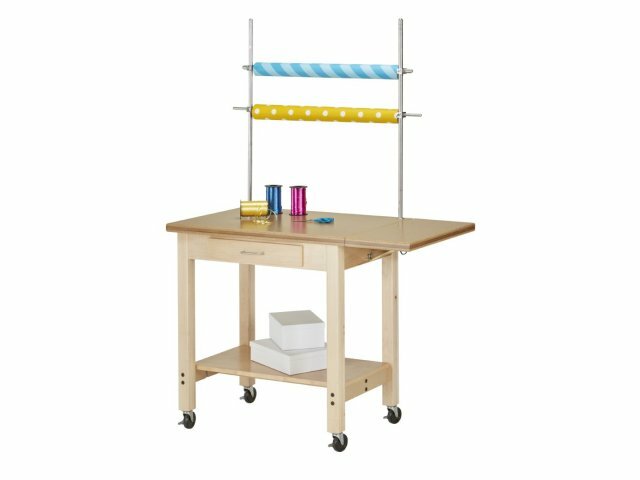 Perfect Height: Removable aluminum rod holds rolls of supplies at a convenient height.